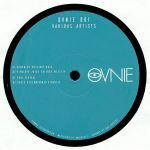 Review: There's much to admire about this debut EP from freshly minted Spanish label Ovnie. Imprints Records co-founder Domenico Rosa kicks things off via the rather delicious "Motion23", an atmospheric, rolling and spacey affair in which clunking lead lines and jammed out synth lines cluster around a funky bassline and swinging electro drums. Himalaya Juice Culture offers up the Artificial Arm style 21st century electro-funk of "Dr Q-Tip", before Pohl brilliantly joins the dots between acid, ghostly electro, rave and UKG on standout track "Virtual". To round things off, Chris Geschwindner weighs in with the alien UKG/electro fusion of "Binarize".